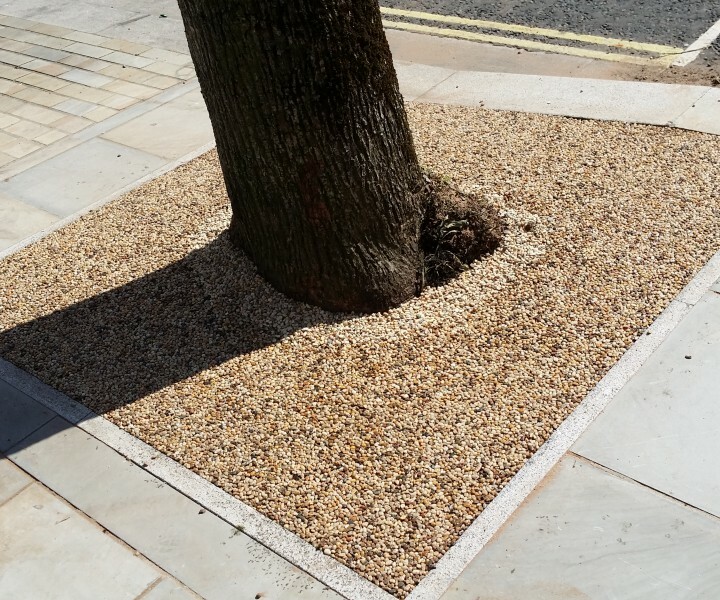 On Cockermouth High Street,our client, Aggregate Industries requested a material to allow water through to the living tree but with a decorative, hard wearing finish. The area would also be used as a walkway. In total we laid 36 treepits and 150sqm of pedestrian walkway. Please see our testimonials. 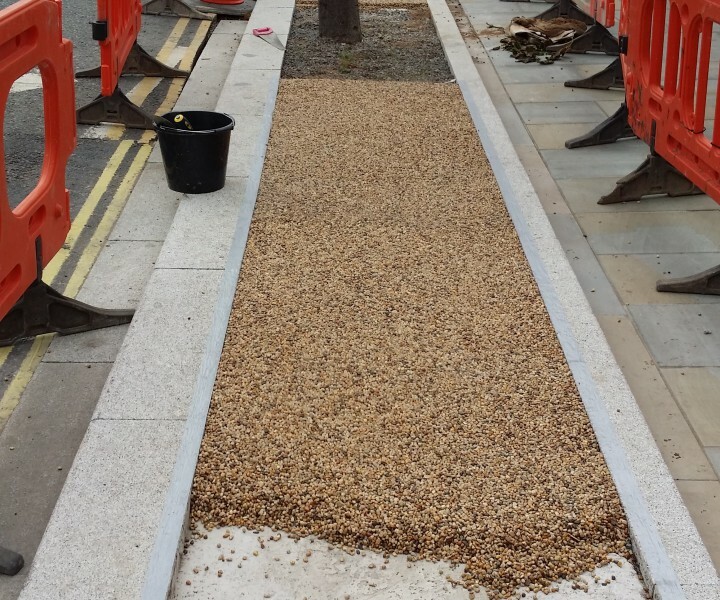 As there was existing kerbing on either side of the area we installed drainage catchment pits, this was then concreted to achieve the desired fall, 10mm rounded stone approx. 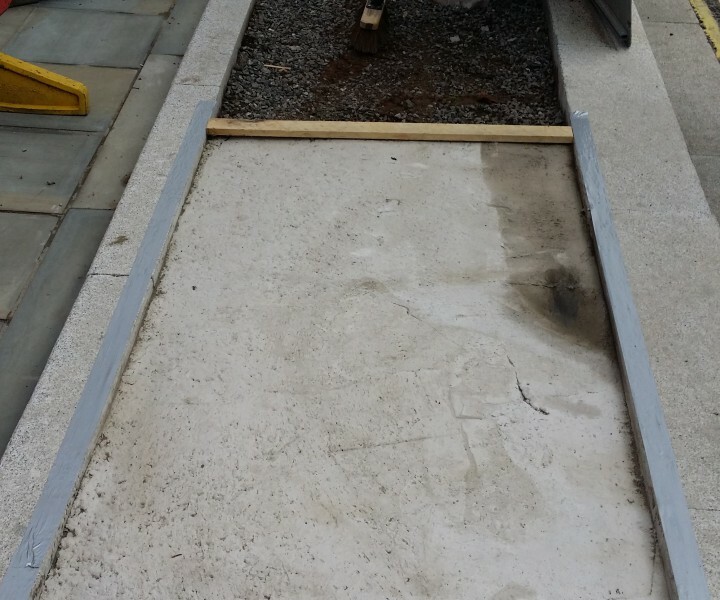 50mm was laid level to the existing kerbs. 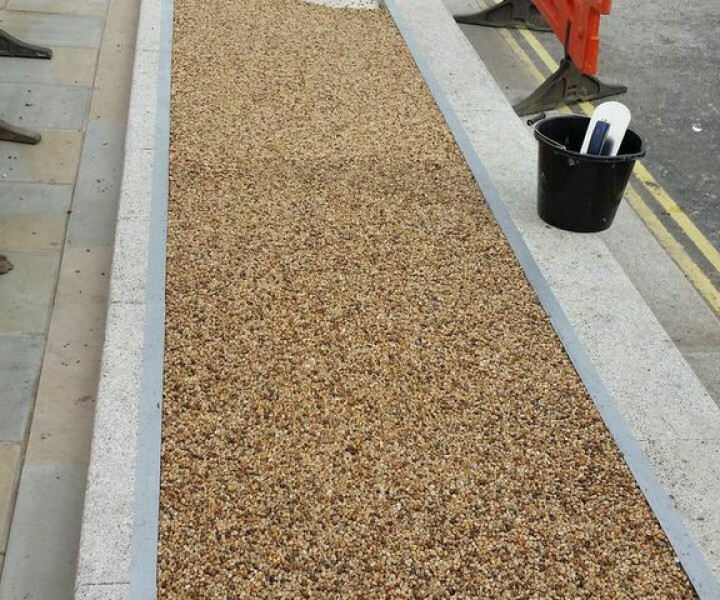 This procedure eliminates puddles and standing water as the rain will go through the resin bound stone and make its way to the catchment pits.